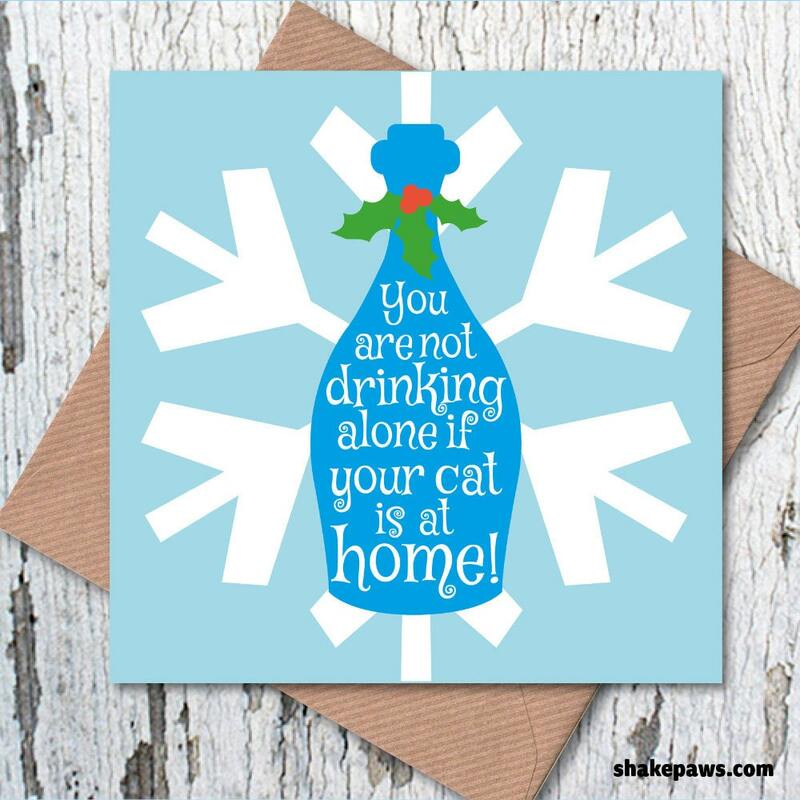 Bring some Christmas cheer to a friend or family member with our “You are Not Drinking Alone if your Cat is at Home” Christmas Greetings Card – perfect for anyone who enjoys a tipple (or two)! All our cards are printed on a premium uncoated FSC-certified 350gsm card. They arrive packed in an individual cellophane bag, which also contains a premium quality brown ribbed envelope. All cards are blank inside for you to add your own message – and maybe a paw print or two! Each card has a dimension of 148 x 148mm (5.8 x 5.8in). Also available in packs of five or ten – the more you buy, the more you save!